Regular readers may remember the series of state false claims act cases brought against Bank of New York Mellon that made headlines a few years back; because I was involved in the Virginia case, it was also covered in some detail on this blog. Although there wasn’t much news for the last two years or so, that all changed late last week when a major settlement — and by far the biggest to date — was announced in the Southern District of New York. Specifically, New York Attorney General Eric T. Schneiderman and United States Attorney for the Southern District of New York Preet Bharara reached a $714 million settlement with Bank of New York Mellon Corporation. In the interests of full disclosure, I was local counsel for the Virginia case against Bank of New York Mellon, which ended in a settlement in 2012. So, having worked with relator and relator’s lead counsel (Mike Lesser and Phil Michael) for several years on these cases, I have first-hand knowledge of what relator and his counsel went through, and what makes this settlement so important. And, lets not forget that it was Harry Markopolos that initially sniffed out the fraud and got the ball rolling. Nowadays, when large qui tam/false claims act settlements are announced virtually every single day, it is easy to lose sight of the significance of this particular case and of the foreign exchange series of cases generally. So, while the amount of this settlement — $714 million — is not a small case by any stretch of the imagination — the dollar amount of this settlements does not tell the whole story — so let us begin, as they say, at the beginning. Brief History of the State False Claims Act cases brought by relator FX Analytics against Bank of New York Mellon Corp.
To my knowledge, the FX Analytics cases were the first cases to be brought by one relator in multiple states against the same defendant. That raised a number of sticky and difficult procedural issues right out of the gate. For example, any lawyer representing whistleblowers in qui tam cases knows very well that the government likes to keep a relator’s identity secret until the very last minute because it gives the government a significant advantage in talking to the defendants. So the first question faced was how could the relator’s lawyers protect the relator’s identity in the event one state unsealed before any other states? The solution to this was for the relator to form a Delaware limited liability partnership — which he named “FX Analytics” — to bring the cases. That way, the relator’s identity could and would remain secret as long as possible. That turned out to be a wise move, because the first state to unseal was California; then Attorney General Jerry Brown announced his lawsuit on October 20, 2009 against State Street Corp. Jerry Brown received considerable attention for the case, which the State demanded $200 million in damages against State Street. In Virginia, we filed the FX Analytics case under seal in October of 2009. The case was thoroughly investigated by the Office of the Attorney General for a little over a year, and was then intervened and unsealed in January of 2011. 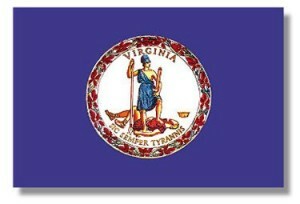 Virginia was the first state to intervene in a case against BNYM, with New York State following later that same year. Following some unusual delays — then-General Cuccinelli wanted to carefully follow the Virginia Public Procurement Act and hire outside counsel, and in his opinion that required publishing the notice of an award — Virginia filed her Complaint-In-Intervention to much fanfare in August 2011. Relator and his lawyers fought these cases across the country for years now, and my hat is off to them…Congratulations guys! Interesting Opinion on Lawyer Contingency Fees … And Proof that no good deed goes unpunished. Truly There Is Nothing New Under the Sun — And Even Lance Armstrong’s Highly Paid Lawyers Can’t Come Up with Something New….